In the foundry and steel industry, production has been based on the principle of induction since the early years of the 20th century. Allen Colby patented the first induction furnace in 1900, and the induction heating of metal has spread since then, with most modern furnaces now using this electrical process. The coreless induction furnace uses a crucible, into which metal is placed. A coil surrounds the crucible, which generates the electricity required to melt the metal in it. For modern foundries using coreless induction furnaces to work efficiently, they must keep thermal consistency throughout this process. Maintaining the optimum temperature for the task will prevents the loss of valuable alloying elements, helping to achieve uncontaminated, well-mixed results every time. Elmelin is a specialist manufacturer of products designed to support coreless induction furnaces in achieving this thermal consistency. An alternating current is sent through the wire coil, powerful enough to create a rapidly reversing magnetic field, which then penetrates the metal. The magnetic field produces circular electric currents inside the metal. This is electromagnetic induction. These eddy currents flow through the metal’s electrical resistance and heat it. This process is known as Joule heating. The action of the currents melts and stirs the metal in an intense manner, to produce optimum results. A key advantage the induction process has is that, because it is not reliant on any kind of external heat source, it helps eliminate contaminants in the melting process. Coreless induction furnaces run at various operating frequencies, depending on what kind of material they are melting, what speed they need to do this at, and what the capacity of the furnace itself is. They are especially effective at melting all grades of steel and iron, and of non ferrous alloys, such as aluminium and zinc. Good energy efficiency will, naturally, mean lower operating costs for a coreless induction furnace. 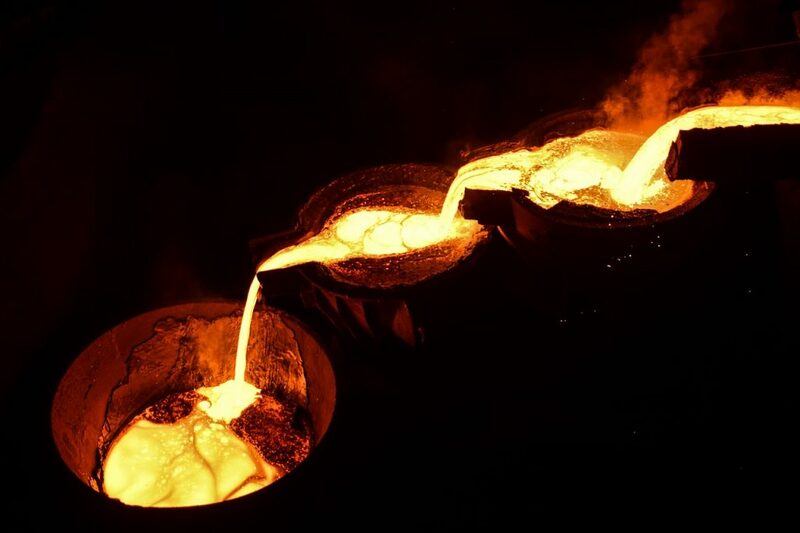 Foundries can achieve this by ensuring plant specifications meet accurately the demands of the tasks, including the types of metal they will be melting and the size of the furnace. It is therefore, about how the furnace’s technical characteristics can best exploit its economic benefits. These technical characteristics include flexible melting operations with digital control and an ability to start up rapidly. The economic benefits come with high-powered efficiency, reduced operational costs and generally a lower capital investment. However, in order for coreless induction furnaces to make the most of these economic benefits, they must be operationally sound, which requires consistent thermal management, safeguarding the furnace, the material it melts, and the people operating it. Coreless induction furnaces can run on either mains or medium frequency. Mains furnaces normally operate at 50 HZ, while medium frequency furnaces tend to operate between 150 HZ and 1,500 HZ. The crucible which contains the metal charge to be melted is refractory lined. This means it is lined with a heat resistant material, which will retain its strength and composition at high temperatures. How the furnace performs is directly related to this lining. 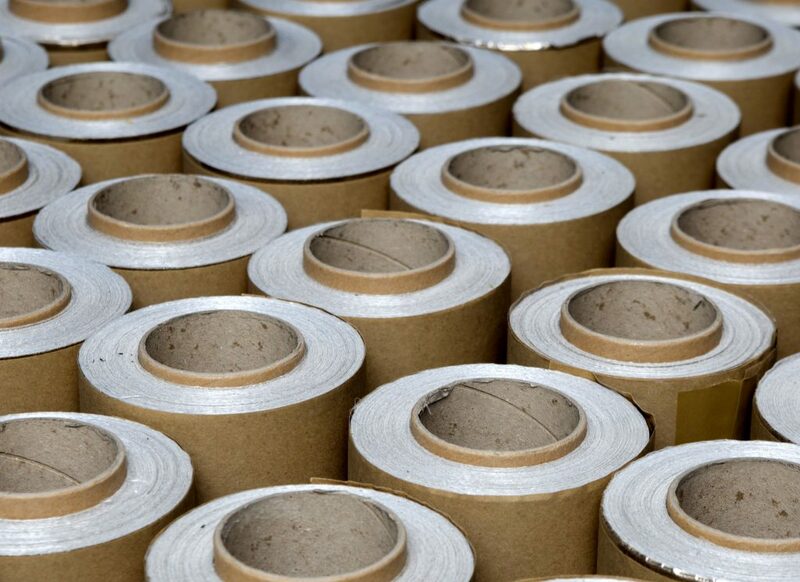 The right kind of stable lining material will ensure smooth working, optimum output and the essential control of the metallurgical reactions involved in the induction process. The refractory lining also supports the energy efficiency of the furnace. During melting, the formation of slag is inevitable. Slag is waste matter and usually consists of metal oxides and silicon dioxide. Slag residuals will deposit themselves along the refractory walls and also within the coil. The type of slag varies depending on the material the furnace is melting. Those at a high melting point can be especially prone to this kind of build-up, at the point where the hot slag makes contact with the colder surface of the refractory wall. Controlling build-up on the refractory lining is vital for achieving thermal consistency and maintaining overall efficiency. Mica and mica-based laminates offer superior refractory lining solutions for coreless induction furnaces. These laminates are thin but highly durable, which means they reduce the amount of power required to reach optimum temperatures while being tear-resistant. 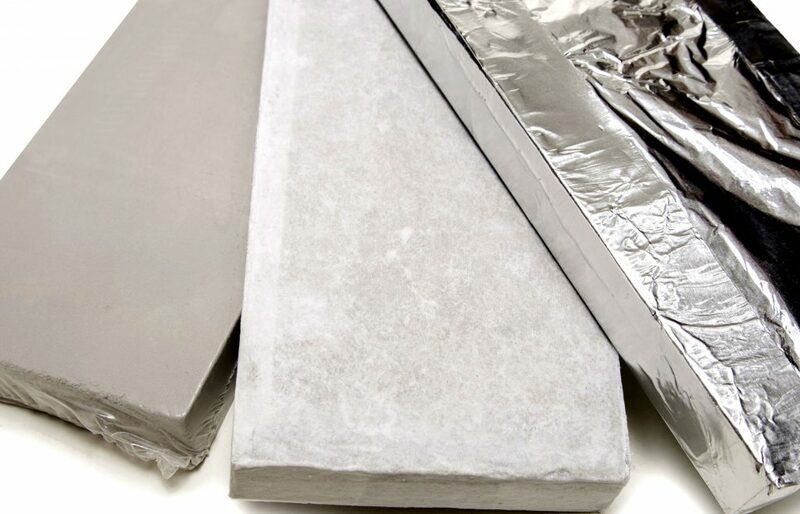 Mica’s natural mineral qualities ensure thermal consistency in mica roll laminates, which also protect the interface between the coil and the refractory wall. Mica laminates can withstand temperatures up to 1200°C, and combi laminates are exceptionally strong, reinforced with woven glass scrim cloth. By helping maintain the lifespan of furnace linings, these laminates reduce maintenance and downtime, and can speed up the relining process itself. Microporous heat insulation also addresses thermal management issues. Using micro-pores it minimises convection thermal transfer. Our Elmtherm composites can withstand temperatures up to 1600°C. Furnace safety is a key concern alongside thermal management. Elmesh is designed for coreless induction furnaces to protect them where there is a danger of material penetrating the coil grout. This is a laminate comprising mica layers and a steel mesh. It will signal when the crucible wall is wearing thin. 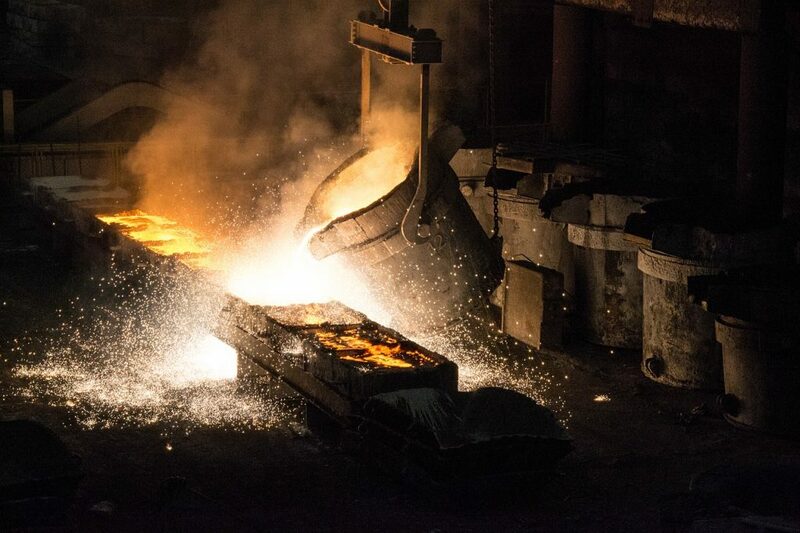 Another aspect of build-up resulting from furnace operations comes from metal vapour deposits, where the foundry is processing materials such as specialist alloys or scrap metal. These deposits can leave metallic residues on the coil, which can then affect the accuracy of readings, or cause equipment short-circuits. Vapourshield is a mica laminate product which looks at this problem, acting as both a metal penetration barrier and alarm system. Elmelin specialises in high temperature insulation solutions and thermal management products for the foundry and steel industry. Please get in touch by phoning us on +44 20 8520 2248, by emailing sales@elmelin.com, or you can complete our online enquiry form and we’ll get back to you as soon as we can.